This service pack will enable customers already using Applications Manager (build #8010 & above) or APM Plugin (build #11010 & above) to upgrade to our latest version. Get to know more about the latest features, enhancements and issues fixed in the release notes. If you are using a build earlier than 8010, contact appmanager-support@manageengine.com to install the service pack. You can also get the latest news about our upcoming features, upgrades, service packs and hot fixes by following our Twitter handle. Step 1: How to locate my build number? In the web client, click the "Hello [admin]" link on the top right corner of the page. Click on the "About" menu item. In the "License Information" section, you can find the build Number. Check the image guide to locate the build number. Step 2: Instructions to Apply the Service Pack: Follow the below steps one by one, do not skip any steps). Shut down Applications Manager as you normally do. Via command prompt, execute the shutdownApplicationsManager.bat -force command (shutdownApplicationsManager.sh -force for Linux) from the 'Applications Manager Home' folder. As a best practice, take complete backup of 'Applications Manager Home' directory. SQL backend users should connect to SQL Management Studio & backup the AMDB database as well. Click here to know how to backup SQL database. To rollback to the old version, rename the existing 'Applications Manager Home' directory and restore the complete backup copy of this directory. SQL backend users should connect to SQL Management Studio & restore the AMDB database backup as well. Click here to know how to restore the SQL database backup. Run the updateManager.bat script (updateManager.sh -c for Linux) under the 'Applications Manager Home/bin' folder which invokes the Update Manager tool. Browse and select the Service pack file (.ppm) saved in your computer. Click Install to initiate the upgrade process. Once you see the "Installed" message on your screen, click Finish to complete the installation. < Applications Manager Home > refers to the directory in which you have installed the Applications Manager product. This directory location is specified by you when you install the product. For Enterprise edition setup, follow same steps in all Applications Manager instances (you can upgrade Admin node first, followed by Managed nodes). 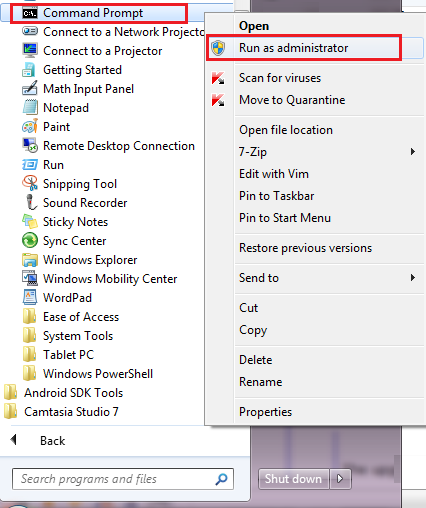 Start command prompt as an administrator [cmd > right click --> run as administrator]. Click here to see the screenshot. This form is only for users who have a Registered License and want to try out any add-on before they make a purchase. Evaluation users already have all 'add-ons' turned on by default. Free edition users who want to evaluate and then make a purchase can also submit their requests here. We recommend users to switch to the latest version of Applications Manager. 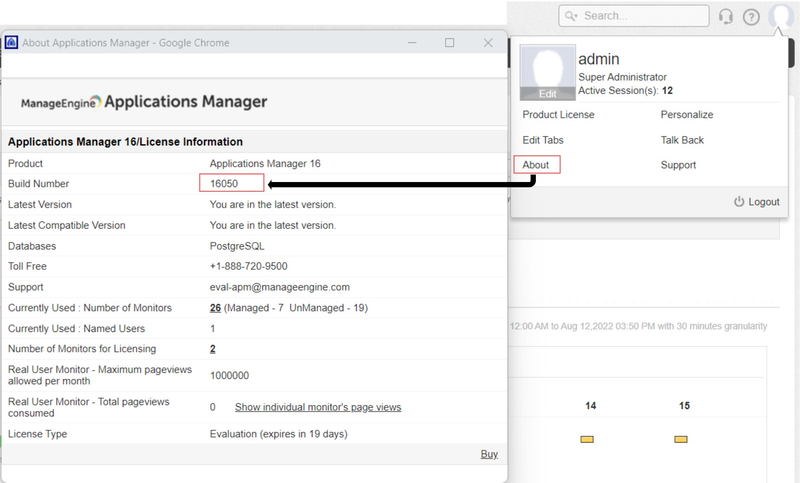 Check out our Product Support Life Cycle Information page to know which older versions of Applications Manager we no longer provide support for.